One of our favorite moments at Scentbird is when we can share local talent with our subscribers. New York City has a vital and unique perfume scene, with several local perfumers doing fantastic work, primarily in Brooklyn. One of the standouts from our vibrant olfactory collective is Joya Parfums. Joya is a Brooklyn-based perfume company founded by Frederick Bouchardy, which opened in 2006 with a singular vision of sustainability and a deep commitment to contributing to their community. They seek out locally-sourced ingredients for their releases, as well as emphasizing sustainable design in their packaging. Joya also shares their atelier, a retrofitted 19th century Clinton Hill garage, with local artists for gallery space, and hosts creative design and fragrance-based workshops and events. Joya has released four signature scents, as well as a line of diffusers and candles since their arrival on the perfume scene of New York City, and Scentbird is proud to partner with Joya’s vision of sustainable community-building through the arts. 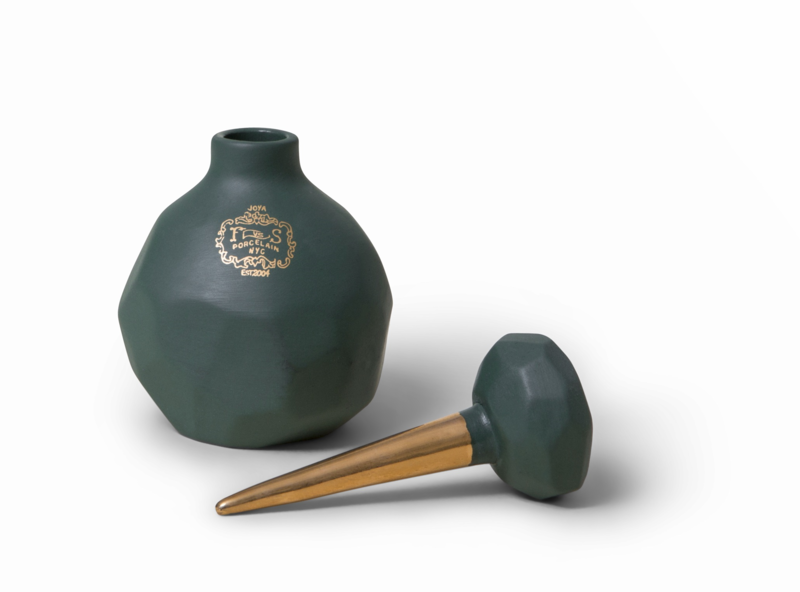 We are featuring two of Joya’s fragrances for the month of September: Composition No. 1 and Foxglove. Each of these perfumes is an original take on traditional perfume styles, and Joya’s attention to detail reveals itself in the richness of the notes and the depth and complexity of the scents. For example, these two scents are perfume oils rather than Eau de Parfum or Eau de Toilette concentrations, which will allow them to last much longer on the skin with more intensity and focus. Composition No. 1 is a dreamy and decadent citrus scent with a deep, velvety texture. Top notes of Italian mandarin, Brazilian orange and quince slowly drizzle down to a sumptuous heart of tuberose, heliotrope, jasmine, and Damask roses. A resplendently creamy sandalwood note in the base cradles the scent in its narcotically plush sweetness. Foxglove is gloriously green –this perfume oil is the cozy, earthy green aura that follows you indoors after a walk in the woods or gardening all day. Dark blood orange and meadow grass grow tall over a fairy-tale sweet honeyed jasmine note and a dry down of treaty oak, white cedar and musk.